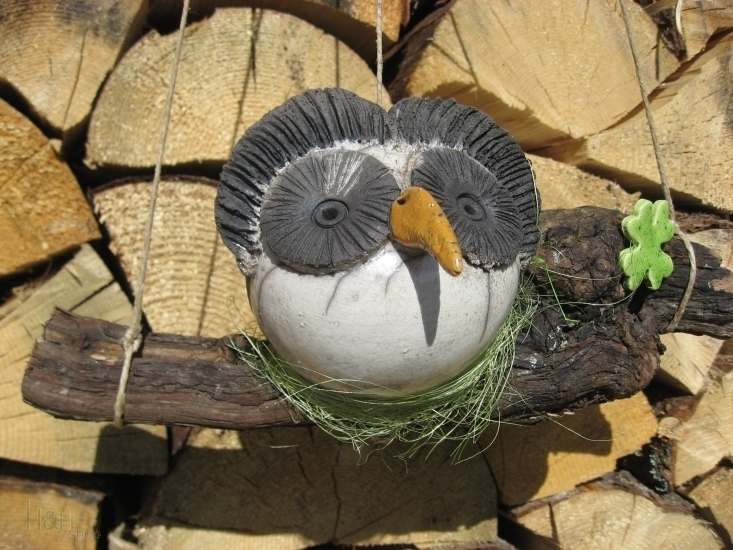 The owls are hand-modeled, fired twice, biscuit firing at 950°C and fired in a wood or gas oven at approx. 1000°C until the glaze has melted out. Then the furnace is opened and the red-hot material is removed the furnace with tongs. After a short cooling period in the air, the hot ceramic is smoked in a barrel filled with sawdust. The resulting flames are immediately suffocated and the glaze undergoes a reduction process due to the lack of oxygen. This results in the typical glazing origins of RAKU ceramics. The pieces that survive this procedure bear the traces of pincers, fire and smoke and owe their liveliness and individuality to them, making each piece inimitable and unique. RAKU always has something mysterious, uncertain and coincidental. My name is Angelika Priller and I work in my own ceramic workshop in Klerant near Brixen, South Tyrol. 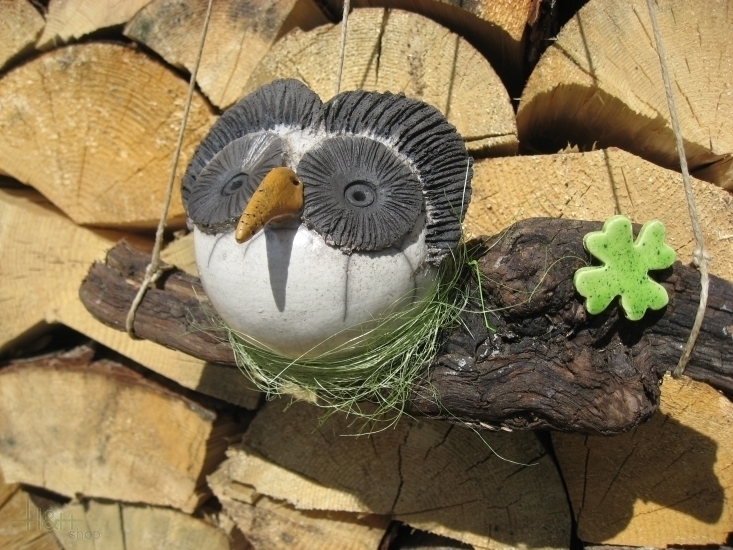 The main focus of my work is the production of decorative ceramics for the home and garden. 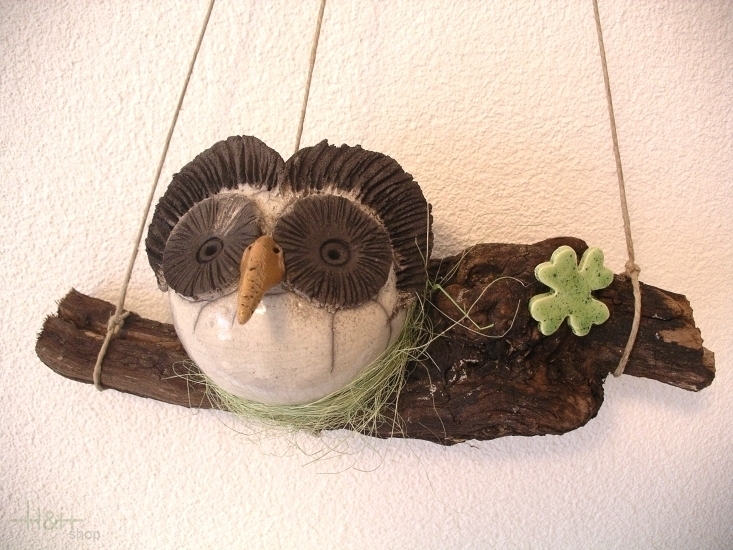 The clay works are all hand-modeled, home-fired, glazed and creatively decorated with various materials nature. My passion is the rakubrand Japan. .